On the first day of WNBA free agency, the Storm secured veteran forward Crystal Lanhorne and second-year center Mercedes Russell to shore up its depth in the post. 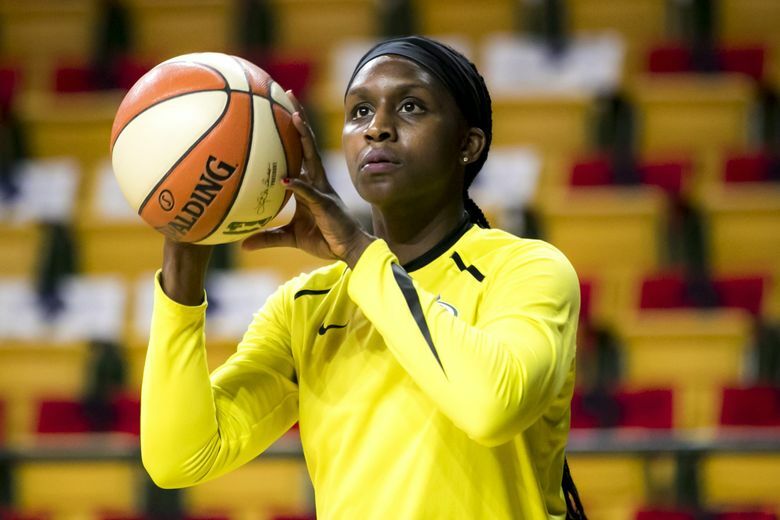 The defending WNBA champion Storm took its first steps in free agency and re-signed Crystal Langhorne and Mercedes Russell to multi-year contracts. Specific terms of the deals were not disclosed by the Storm, which made the announcement Friday afternoon. After starting the season opener, Langhorne moved to the bench where she was a backup behind WNBA MVP Breanna Stewart and Natasha Howard, who won the league’s most improved player award. Langhorne missed eight games due to a rib injury early in the season and never regained the minutes or form that made her a standout during her previous four years in Seattle. The 11-year veteran averaged 4.6 points, 3.0 rebounds and 13.9 minutes – all career lows – in 26 games. Despite a significant drop in production – Langhorne averaged 12.4 points, 6.1 rebounds and 28.4 minutes in 2017 – the Storm made it a priority to bring her back for another championship run. Russell played sparingly as a rookie center last season while averaging 1.7 points, 1.4 rebounds and 5.6 rebounds last year. The 2018 second-round pick out of Tennessee shot 47.1 percent from the field. WNBA free agency began Friday. Unlike last year when the Storm traded for Howard and signed free agent Courtney Paris, Seattle isn’t expected to make many offseason moves because all of its players from last year’s team are under contract and expected to return this year.